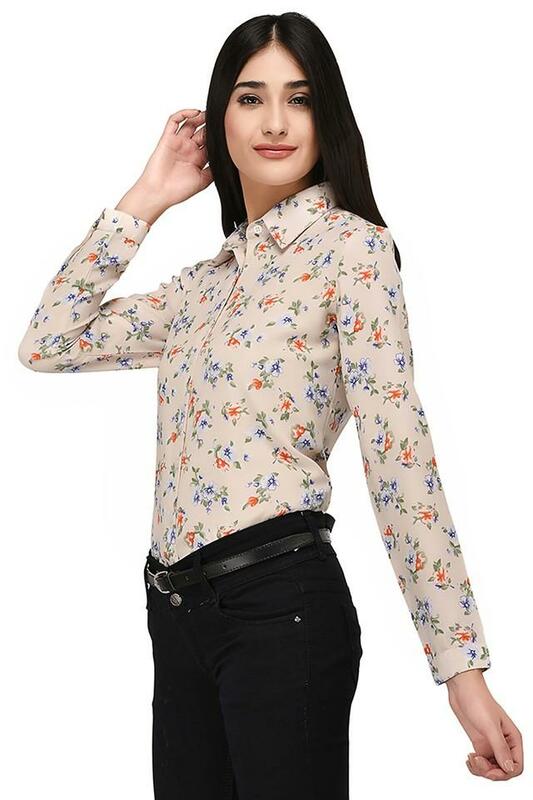 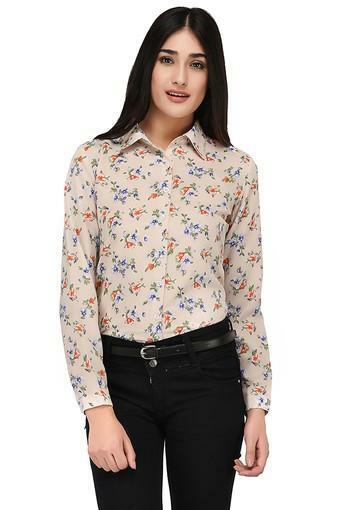 If pulling off a classy look with panache is what your fashionista dream made of, this shirt from Purys will surely become your instant favourite. 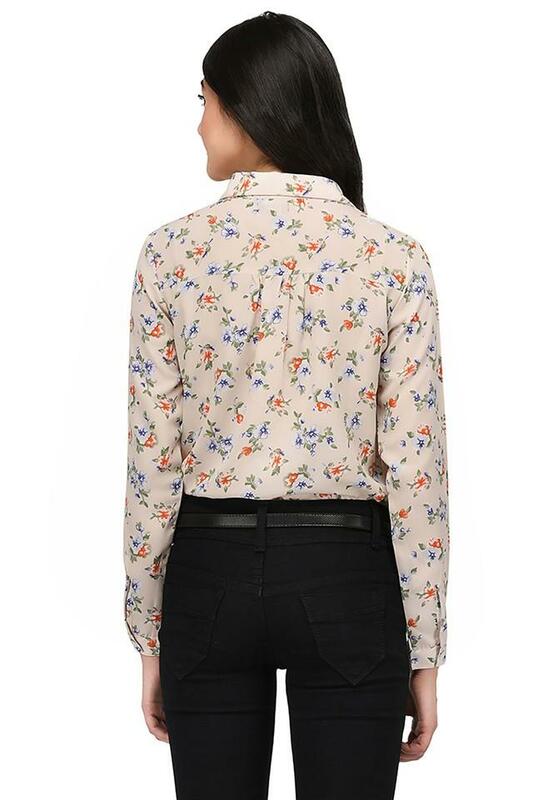 It can be worn in a hassle free manner as it comes with a full button placket at the front. 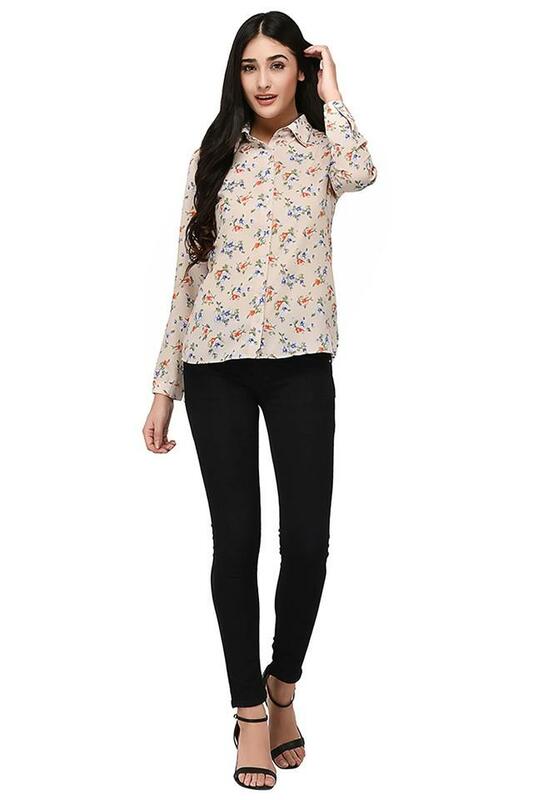 Besides, it comes in a floral print pattern, which seamlessly blends with its overall design. For any casual outing, give this shirt a stylish spin by clubbing it with a pair of pants and heeled shoes. It comes in a printed pattern, which lends it a trendy look.